Nettle seeds are the most nutritious part of nettle. They contain all the goodies of nettle, vitamin A and C, iron, calcium, magnesium and silicon. What is more, they contain essential fatty acids and vitamin C which are especially good for skin and brain. 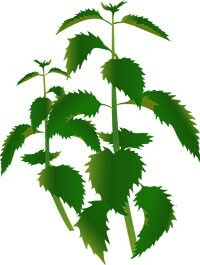 In folk medicine nettle has been used to cure almost any illness. Nettle seeds contain essential fatty acids and vitamin E which are especially good for your skin and brain. 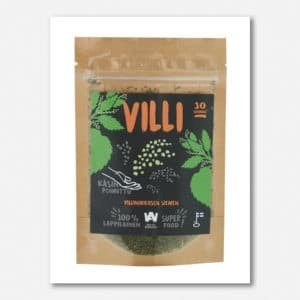 In short, nettle seeds give you more vitality. Nettle seed are so packed with nutrients that one teaspoon a day is enough. Compared to many other seeds, nettle seeds are soft and could be eaten just like that but are better mixed in for example smoothies, yogurt and porridge. Or try season your soup with nettle seeds by adding them on the top. Nettle seeds are suitable for children.